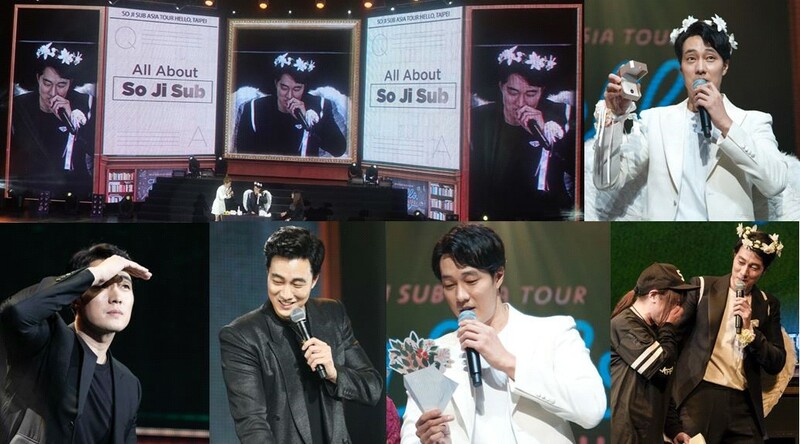 So Ji sub successfully finished his 2019 Asian fan meeting tour. Actor So Ji sub has successfully finished his 2019 Asian fan meeting tour "Hello", He proved his status as a global star by completing a tour of six countries and seven cities from Taipei, Taiwan, to Tokyo, Kobe, Bangkok, Jakarta, Hong Kong and Manila starting on Feb. 10. As he is with his long awaited fans, So has had an unforgettable time with some 20,000 fans over the past two months, with a variety of programs ranging from honest talk to singing to surprise events. Appearing singing Barry Manilow's "Can't Smile without You," a song he chose out of consideration for fans, So opened the door to the fan meeting, giving affectionate eyes to the fans. After the fan meeting, he finished his performance by taking commemorative photos and greetings, giving his a heartfelt fan service until the end. In particular, leading local media outlets visited the press conference prior to the Thai fan meeting to compete for coverage, confirming their high interest in So Ji sub, the "Asia's Most Popular Star." The first Asian tour in Taiwan, Japan, Thailand, China, Singapore and South Korea in 2014 and the second Asian tour in Taiwan, China and Japan in 2015, respectively and celebrating the 20th anniversary of his debut, he made his third Asian tour in 2017 in Japan, Taiwan, Indonesia, Singapore, China and South Korea, followed by [TWENTY: The Moment] and So, who proved his unrivaled Hallyu power by continuing his fourth Asian tour [Hello].